Mevadhashma expanding their sales network in Sharjah. 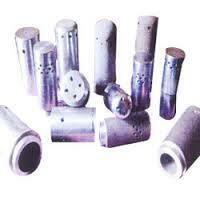 Mevadhashma was the one of leading boiler air nozzle supplier in India. Mevadhashma offer comprehensive range of high quality Air Nozzles in different metals like cast iron, stainless steel, mild steel, etc. Mevadhashma Air Nozzles are effectively reduce the compressed air consumption and helps in providing accurate air flow exactly. Moreover, Mevadhashma the Air Nozzles offered are highly in demand in the market, due to their high quality and nominal pricing. Mevadhashma also having wide range of boiler Non Pressure Spare Parts at highly competitive prices. Our range of Non Pressure Spare Parts, offered by us, includes Boiler Air Nozzle, Boiler Coal Nozzle and Boiler Mixing Nozzle. Mevadhashma specilise in supply of and distribution of boiler parts including combi boiler parts across globe. Mevadhashma capable of supply boiler spares Veeson, THERMAX, IJT, Thermodyne , Cheema Boiler, BHEL, etc..
Mevadhashma offers spares are suit the customer''s budget and these products at market leading prices. Mevadhashma boiler spare parts are recognized for their dimensional accuracy and long lasting nature. Mevadhashma also offer in addition to be above, IBR Pipe fittings to their customer.